While working in the surgery unit at John Muir Medical Center, the young Dr. Gazdar had the firm intention of eventually applying to medical school. Some friends suggested that he investigate the chiropractic profession as well, so he enrolled in Life Chiropractic College West for a couple of quarters to get a feel for it. I love being a chiropractor. The best part is caring for people that come into the office in pain, and leave feeling great! Dr. Gazdar had never had any chiropractic experience, so he quickly arranged to start on a regular program of adjustments. Much to his delight and surprise, the asthma that had plagued him all of his life completely disappeared — and has never returned! “My fellow students were into natural health in such a big way, and weren’t taking drugs as I had done almost every day of my life.” Dr. Gazdar realized that chiropractic was the perfect fit for him, and he never looked back. Over the years, Dr. Gazdar has helped many celebrities and sports stars. Dr. Gazdar is honored to be the official chiropractic physician for the San Francisco Giants baseball team since 2008, and owns three World Series titles and rings as Team Chiropractor for the team (2010, 2012, and 2014). Previously, Dr. Gazdar was the Team Chiropractor for the AAA minor league team, the Fresno Grizzlies. He is also the private chiropractor for actor Bill Murray, skateboarding legend Corey Duffel and many members of the United States Synchronized Swim Team. He holds a Certified Chiropractic Sports Physician (C.C.S.P.) credential and treats many professional and elite amateur athletes. Dr. Gazdar has also been awarded the prestigious Alumni of the Year award from Life Chiropractic College-West, twice (in 1995 and 2011). The award is given out to one Alumni per year, based on service to the college, the chiropractic profession, and the local community. He is also the author of the top-selling book, Take Your Back to the Future. 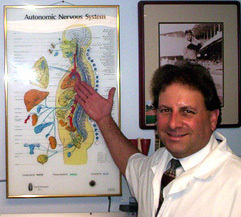 Dr. Gazdar received his doctorate from Life Chiropractic College West in 1989, where he also received the prestigious Alumni of the Year award in 1995 and 2011. He was also a sought-after instructor in his college technique department from 1989 to 2006 and has lectured on chiropractic throughout the United States and Japan. Dr. Gazdar has been coaching youth baseball in Walnut Creek since 1999. He is also a big supporter of law enforcement, including the Sheriff’s Posse and The One Hundred Club, an organization dedicated to protecting the welfare of families of peace officers and firefighters who lost their lives in the line of duty. Since 1991, he has also devoted time and effort to a yearly toy and food drive, donating his services in exchange for massive food contributions to the local food bank and the collection of toys for underprivileged youth. He has been married to Teri since 1991 and has three children, two of whom play college baseball. Dr. Gazdar would love to support you in your health goals!